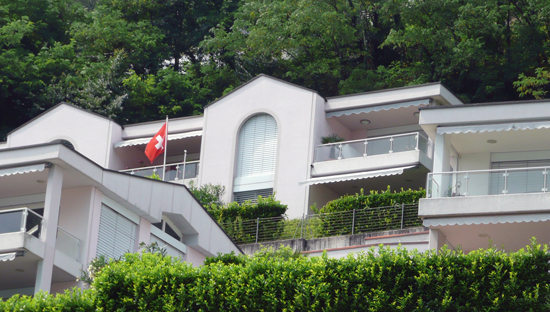 Morcote combines the best of two worlds: Swiss perfection and organization as well as Italian charm and "joie de vivre". It is the southernmost village in Switzerland and looking towards the right from the Residenza La Costa you can see the Italian border and the town of Porto Ceresio. 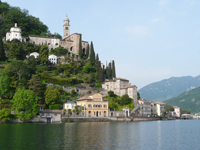 If you are looking for tranquility and beauty you will find that in Morcote. Historically Morcote was of great importance as it had the largest port on Lake Lugano until the dam of Melide was built in 1847. A wide variety of goods from northern Italy were shipped from Morcote to the rest of Ticino. Morcote was also a famous fishing village. 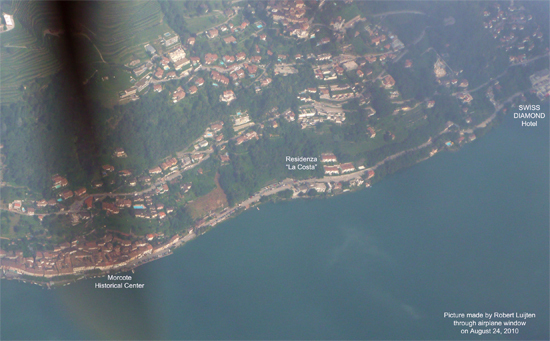 Morcote can be found on almost every map you will find and is considered "the Pearl of Ceresio". Morcote was voted the most beautiful village of Switzerland 2016. Please note that to use Lugano Agno Airport is actually a delight. It is true that you need to use Zurich or Geneva as a hub, but Agno is very fast from a parking and boarding perspective that almost warrants the additional flying duration of about 35 minutes (to the hub). The little paradise Residenza La Costa is located in a quiet and peaceful area exactly between the famous Swiss Diamond Hotel and the historical centre of pittoresque Morcote. The Residenza offers top quality of life on one of the most attractive locations on the Lake of Lugano, "including" a healthy Mediterranean climate and more than 300 days of sun per year. It is completely surrounded by green but yet situated directly on the main road that leads to Lugano. 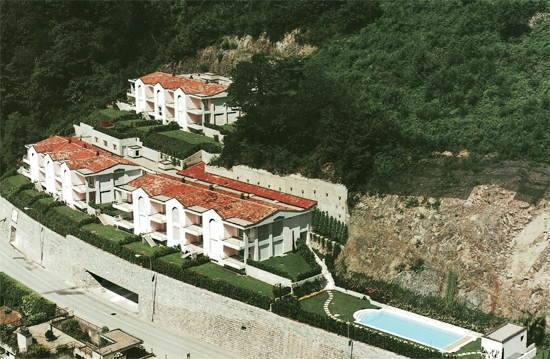 The Residenza La Costa was designed by architect Roberto Schwendener of Lugano and construction started in 1992 by Dirca SA under the supervision of Tiziana SA. Residenza La Costa consists of 3 spacious buildings each with 7 different apartments, a large outdoor swimming pool, beautiful private garden, an underground garage consisting of 2 parking decks (with elavator), cellars and a covered guest parking area. Apartments vary in size from 79 m2 to 158 m2 and can be on a single level but also on up to 3 levels. This site is designed to promote the Residenza La Costa and to complement the information that is typically presented by Real Estate Agents and Brokers when they offer apartments for sale or rent. Site sponsored by www.luijten.ch, your gateway to Ticino, designed to help those that want to relocate to Ticino or buy a holiday home in this wonderful part of Southern Switzerland.